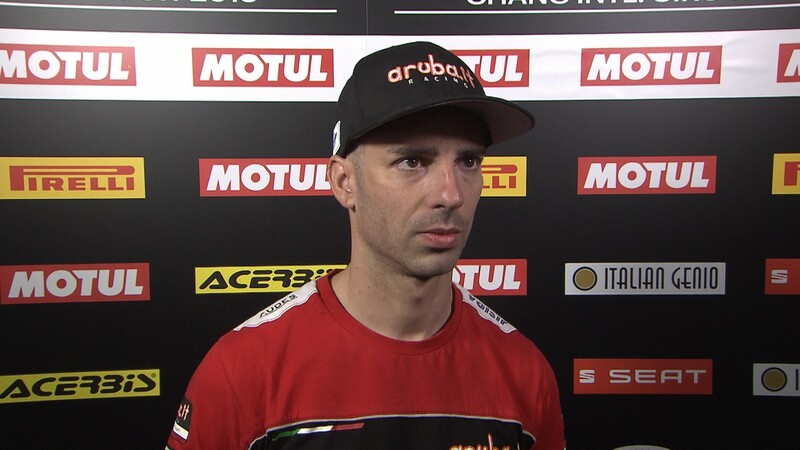 Marco Melandri (Aruba.it Racing - Ducati) confessed quiet satisfaction after securing a fourth-place finish on the opening day in Thailand. 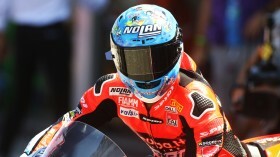 The Italian, double-winner at the opening event of the campaign in Australia, was relieved that the temperatures remained mild and his times tumbled in third practice. 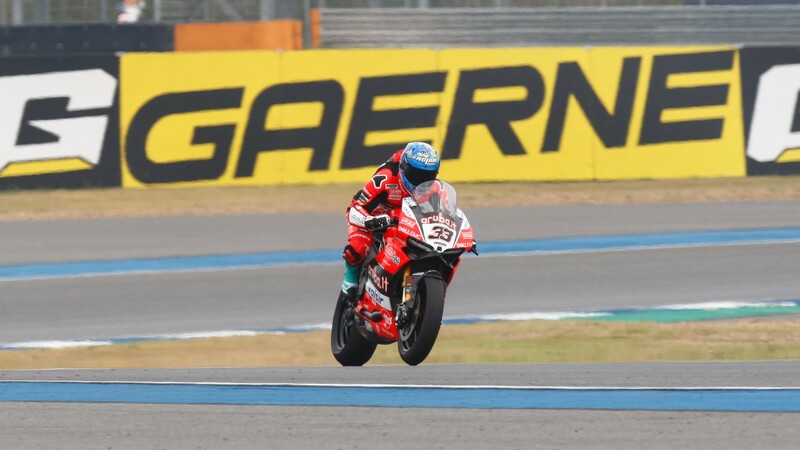 Although Melandri was unable to match the pace of the leading Kawasaki duo, he was pleased enough with a successful day, in which he finished embedded in a pack of ten riders at the top of the timesheets separated by just over half a second. And since he finished just eleven hundredths clear of his teammate, he clearly extracted the maximum from his machinery.